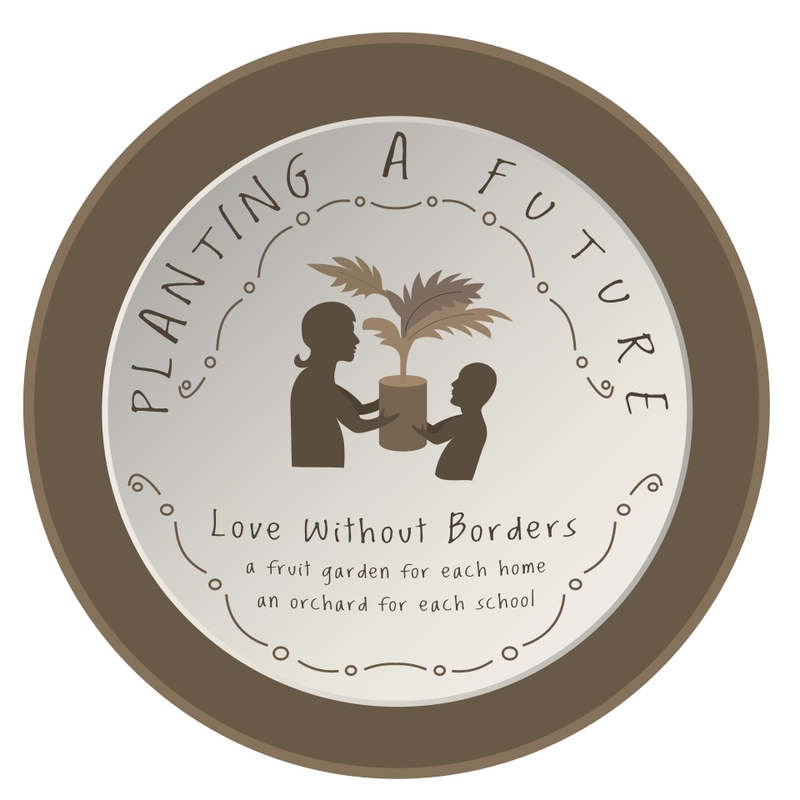 We have a new logo for Planting A Future! Wow…how time flies. You guys all know our Logo, right? Lloyd made this one as a raw sketch a few months back. Now we finally managed to get a digital “pimped” version of that logo. Since none of us is a graphic designer we asked for help. 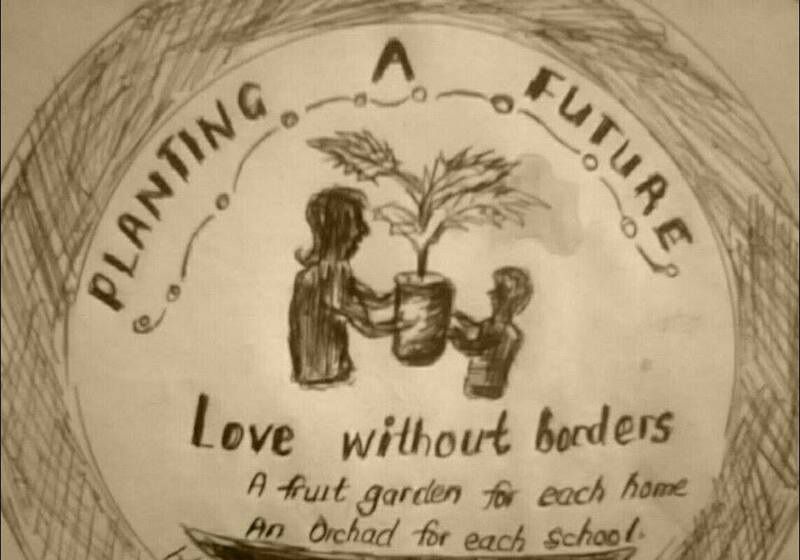 Our friend Alfred from YourDesign2Go in Bavaria (Germany) decided to help us digitalizing the sketch so we can use it to print banners and posters and to promote Planting A Future. Have a look at this! Doesn’t it look great?! We tried to keep the charme of the old logo’s look. We all love it! Look at the old one as well! Don’t you think Alfred did a great job digitalizing it? So now we are ready for the digital world. These days Lloyd and our members Grime Milandu, Musa Chibanje and Wesley Kasela are in Nyawa to promote breadfruit at the NATCO block show. This show is taking place to promote and inform on agriculture products. 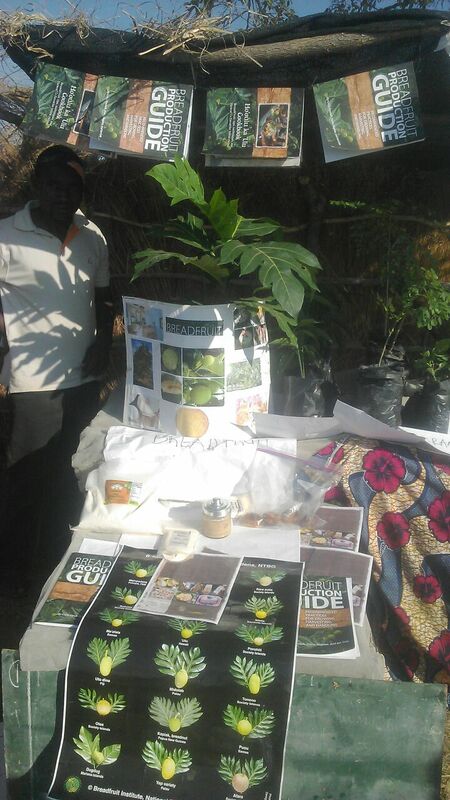 It is a great way for us to introduce breadfruit to wider masses in Zambia….but also to promote Planting A Future and tell them about the concept and show what we do. 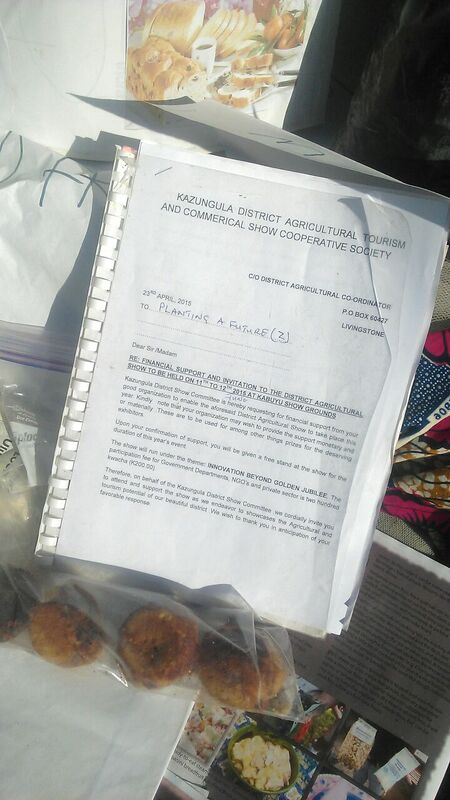 Thanks to our friends all over the world we have some info material and breadfruit samlples like flour to show to people. Breaking News: last week we could finally launch our water system. So we had a little opening ceremony with Bruni starting the pump. Check the video of the dedication and opening ceremony to see for yourself. (This time it is in English and German language) We are all very happy and humbled. Thank you so much to all our donors and sponsors, supporters and helpers, to all our volunteers. A dream came true! 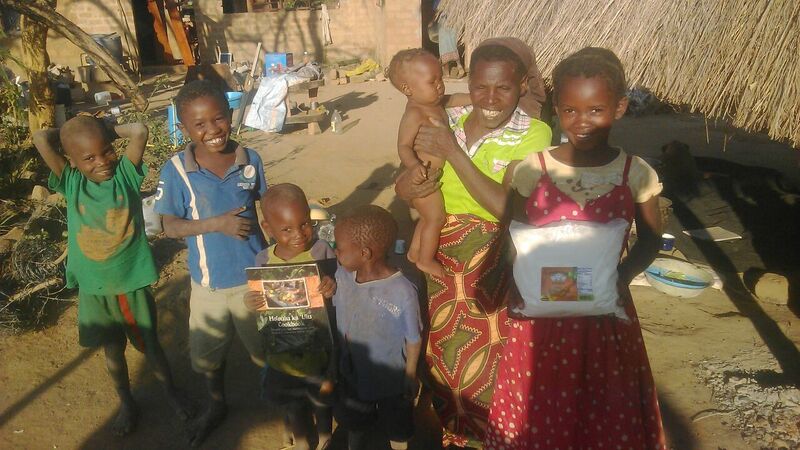 We still can’t really believe that now we will be able to water our plants all year round. Our dear friend Carol Williams from Trees That Feed Foundation surprised us with a nice package full of breadfruit flour of Jamaican Diamond Ridge Processors and a breadfruit cooking book. Thank you so much! We appreciate your support. 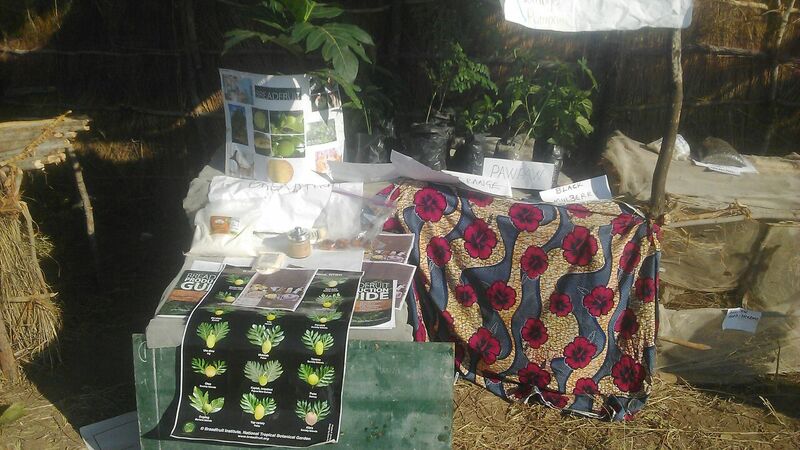 Now we are able to display and promote breadfruit at the farmers’ markets and shows…and of course also can experiment with the recipes and cook baby porridge and nshima. 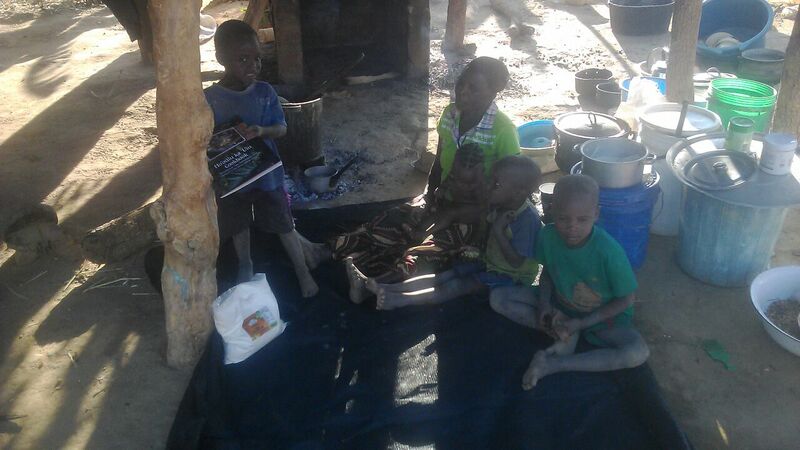 All our kids, the neighbours’ kids and kids from surrounding villages came to have a look at the flour and book. 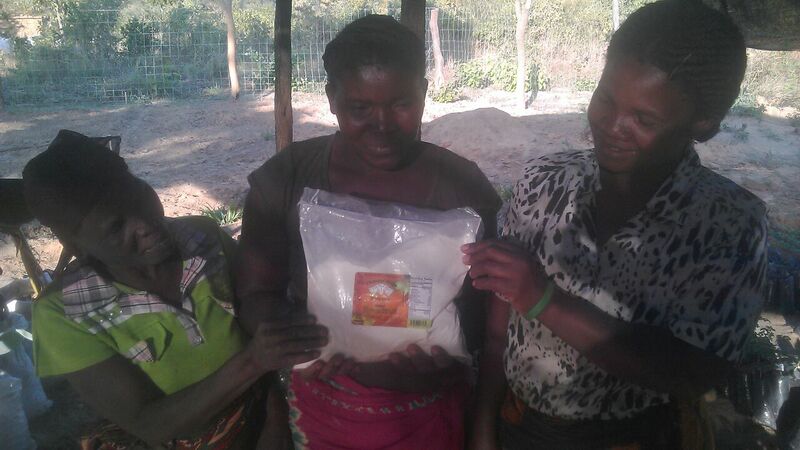 The women also were very excited and can’t wait to cook with breadfruit flour.